The current situation is fighting continues outside of Tripoli. Haftar’s army is meeting with strong resistance by the Tripoli government. Libya’s situation is complex. You can read about it, or listen to it. The UN passed a resolution to block foreign powers from supplying weapons to one side or the other. Haftar’s way around this, was to insist on military weapons to fight against Islamic extremists, including ISIS. But of course he wanted military equipment to wage war against the Tripoli government. The panelists seemed to agree that the foreign powers were worsening the conflict, Oliver Miles tempered his remarks by saying this was a war among Libyan, not outsiders. But, Anas El Gomati, I think, got it right, in that the effect of Saudi Arabia and UAE assistance to Haftar, increases his confidence that he can win easier on the battlefield (where he’s used to fighting) than at the negotiating table. The panelists also firmly said France has been involved in backing Haftar, not necessarily with military equipment, but with creating a legitimacy for his government. Haftar only has Haftar’s interests in mind. Gomati characterization of Haftar starts about 22:00 minutes into the panel discussion. At the end, Gomati concludes that no one could “reign in” someone who is so dishonest. He briefly mentions that Haftar “allegedly” worked for the CIA, but it might have been a lot shorter time than the two decades in my blog. He obviously could boast of his high level Libyan contacts, in working for and against Gaddafi. General Kalifa Haftar, born in Libya in 1943. He is now at center of attention in the Libyan conflict. He is shown above with Saudi Arabia’s King Salman bin Abdulaziz on his visit to Riyadh on March 27, 2019. This is a short biographical summary of Haftar. Wikipedia has provided an excellent biography, with extensive internet links as provided at the end of this blog. Based on education and experience, Kalifa Haftar is a military expert. He graduated from the Benghazi Military University, and received additional training in Russia and Egypt. By age 26, he had the right military training to support Gaddafi in the overthrow of King Irdis. As a commander in Libya’s military, Haftar supported Gaddafi for 18 years before turning against him, including plotting his downfall. With the help of the US, Haftar join the CIA, living in Virginia for two decades. He is a US citizen and speaks his native Arabic language, plus Russian, Italian, English and is conversational in French. (4) 2011 – present: Leader in the first civil war against Gaddafi, then broke with the General National Unity (GNU) agreement and united militia forces against the Tripoli government. This constitutional framework left Libya with a weak central government and strong provincial autonomy. The governments of successive Prime Ministers tried to push through economic policies but found them hampered by the differing provinces. There remained a persistent distrust between Cyrenaica and Tripolitania. Benghazi and Tripoli were appointed as joint capital cities, with the country’s parliament moving between the two. The city of Bayda also became a de facto summer capital as Idris moved there. In 1987, he became a prisoner of war during the war against Chad after being lulled into a trap and captured, then a major embarrassment for Gaddafi and represented a major blow to Gaddafi’s ambitions in Chad. While held prisoner, he and his fellow officers formed a group hoping to overthrow Gaddafi. He was released around 1990 in a deal with the United States government and spent nearly two decades in Langley, Virginia, in the US, gaining U.S. citizenship. The arrangement to bring Haftar to the US was likely done under the Reagan administration. There were plans to support the 300 members of Haftar’s exiled army against Gaddafi under the refugee act, but that never was completed. He worked for the CIA or related intelligence agencies, during the H.W. Bush, Clinton, W. Bush and Obama administration. Certainly, from 2004 forward, the US was looking to improve relations with Libya and at the same time, make sure he continue to be in compliance with WMD disarmament agreements. Haftar’s health has been questioned. According to Wikipedia: On 12 April 2018, it was reported that Haftar was in a coma after suffering a stroke and was hospitalized under intensive care in Paris. So, under the scenario of Haftar succeeding, and taking over, who would take over from Haftar. One possibility is Saif al-Islam Gaddafi, who might see a necessity to re-arm Libya even if it is necessary to violate the WMD accord. This would go far beyond a reversal of Arab Spring, but a return to conditions before December 2003, the date when Libya agreed to disarm. What ever the outcome, the major outside players will be Egypt, Saudi Arabia, UAE and Russia – all autocracies. I wish the EU and the US could play a more decisive role in uniting the country. Note the NYT spells Haftar as Hifter. The Unravelling, In a failing state, an anti-Islamist general mounts a divisive campaign. The prior blog provides background, and explains in part why Russia, Egypt and Saudi Arabia would support General Hafter. I also mention that had traveled to Libya. I was there during a peaceful period, in mid 2013. I was staying very near Martyr’s square, and I saw the coffins set up on one side. Each has a picture of a person who died in the civil war. They were empty coffins, but this display spoke volumes. Liberty came at a steep price to Libya. 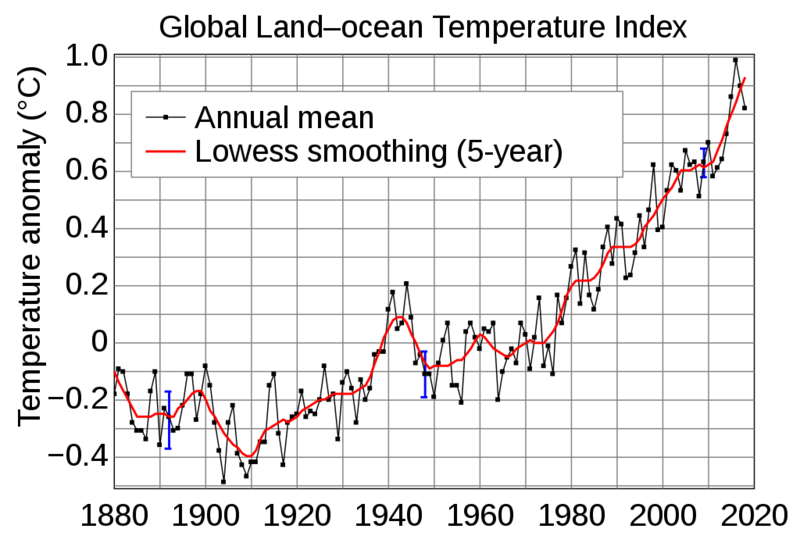 I am very afraid of what was gained in the short 9 months of 2011, will be lost. 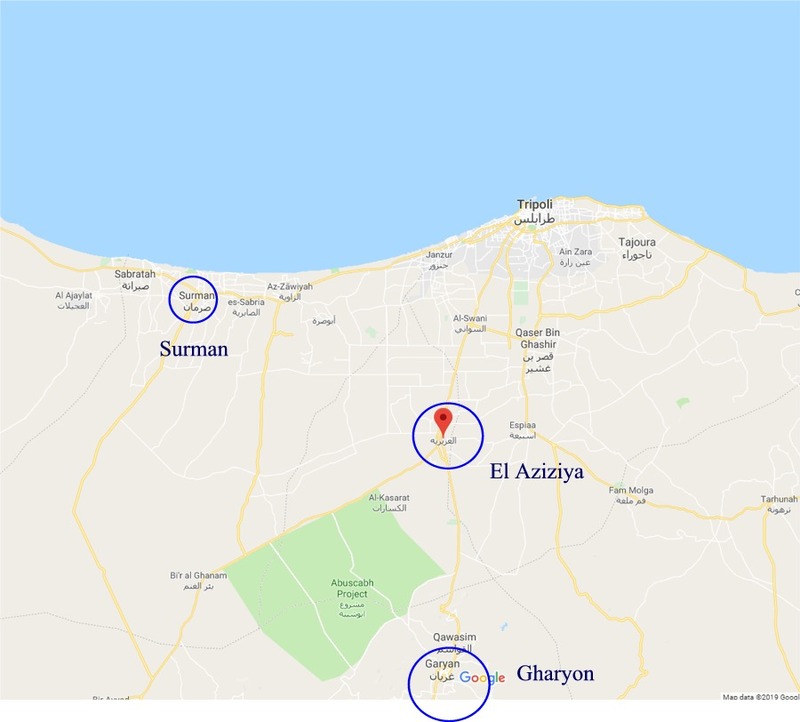 Haftar captured three key cities: Gharyon, Surman and Aziziya approximately 20 to 50 miles outside of Tripoli. He has stated that he intends to take the only functioning airport, Mitigi Airport, in Tripoli. He launch an air strike on Mitigi on April 4, 2019. He has taken control of the principal oil fields. He now has control of much of the country. See New York Times link. As I stated in the prior blog, he is funded by Saudi Arabia and other countries. The UN condemned the airstrike as Mitigi airport is not a military base but a civilian airport. Haftar responded that the intended targets were Russian Mig fighter parked at the airport. For the immediate future, the war between Haftar and Tripoli will be waged in the air. Tripoli is the big prize. But if Haftar sends his forces into Tripoli, it will be extremely bloody. The first civil war ended without serious fighting within the capital. Gadaffi was not allow to use his air force to defend his country, as a result of the UN Resolution 1973. This time is different. General Haftar is willing to reduce Tripoli to rubble so that he can rule Libya, which is the only option he has left now anyway, according to an expert on the Libyan conflict (see NYT article). The UN has called for an immediate ceasefire. The US has done the same, but this doesn’t seem likely. The US has evacuated its embassy in Tripoli. United Nations canceled a long-planned peace conference scheduled for later this month. It doesn’t seem there is any outcome to this second civil war that leads to a stable government. What is amazing to me, is that the oil keeps flowing and being exported. Apparently, according to the New York Times, the Tripoli government is still in charge of the lifting of oil (actual pick up by tankers) at the port cities. But there are payments back to the Tobruk government. Tripoli is also continuing to pay the salaries of the military under Hafter’s command according to the NYT. Once Haftar is in command of Tripoli, he will seek recognition from the other countries, as the legitimate government. This will be necessary to continue the contracts for oil exports. The best sources of information are the New York Times and Al Jazeera. I note that the Times spells the General’s name as Kifter while Al Jazeera spells it as Kaftar. The same spelling differences frequently occur in the spelling of names of cities. I fear a complete reversal of the Arab Spring in Libya. It is difficult to see any progress in democracy after the rebellion in Egypt, and I fear Libya is on course to reverse the gains made during Arab Spring. In my next blog, I will explore the background of General Kaftar, including his long stint working for the CIA and the fact that he is an American citizen. It will be interesting. 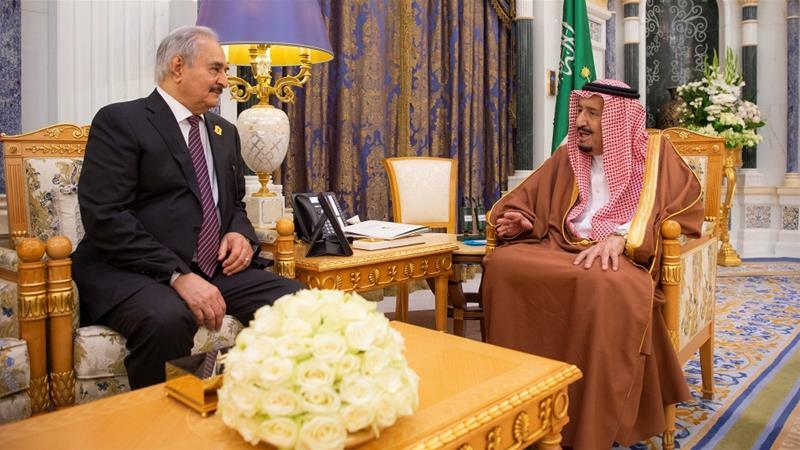 Al Jazeera: Saudi’s gave Libya Hafter military millions of dollars before the attack. My blog on HUD and Facebook went a bit long but there were a few things missing. I’ve included the lawsuit filing and the original HUD complaint. Guess where I found the HUD filing – on HUD’s Facebook page! I’m curious exactly this sensitive user information that HUD was seeking. As I said in the prior post, Facebook stock has actually risen after being sued. When I first read about this, I felt like it belonged in the “What in the world category.” Facebook has 2 billion active users worldwide and generates 16.6 billion dollars from targeted advertisements. (see link below). “[Facebook] has provided a toggle button that enables advertisers to exclude men or women from seeing an ad, a search-box to exclude people who do not speak a specific language from seeing an ad, and a map tool to exclude people who live in a specified area from seeing an ad by drawing a red line around that area,” the complaint reads. The problem is that some targeting of ads is beneficial to both advertisers and Facebook users. A Facebook user does not want to be deluged with advertisements when they use Facebook. I’m not a great Facebook user, but I did video tape a chicken that was loose in our front yard and post it. Catching a chicken can be difficult and timing is everything. (pretty much topic, sorry). Over time, users likely add data such as where they went to school, languages they speak, their interests and other bits of information which helps connect them to connect with others with similar interests. All seeming pretty harmless. Targeting audiences is nothing new. Amazon does this all the time based on my prior purchases and I’m sure, they have a pretty good idea of my interests. They know I am not interested in books written in Spanish, although I live in Miami. Any time you visit a website, be it this blog, or any other, your browser passes along considerable data including age, where you live (usually city and state), your primary language and general interests. Facebook can tap into a lot of information on their users for marketing purposes. Generally, it is not in the commercial interests of real estate agents to exclude potentially interested buyers, but they also have a mental profile of who might be the a likely buyer of a home. HUD says Facebook does so by “encouraging, enabling and causing housing discrimination” when it allows companies that use their platform to improperly shield who can see certain housing ads. Why is the US government involved? In real estate, a company which targets audiences of their ads for potential buyers, is likely to be more successful in selling and renting homes. The accusation against Facebook is they are an “enabler” of real estate agents involved in “redlining.” It can be a tricky line, because sales agents may work with customers with religious or racial bias. It can be particularly tricky in short term rentals. It is not illegal to refuse to rent to someone with pets or who smokes. The Fair Housing Act was passed to prevent discriminatory practices by real estate agents and lenders. It was signed into law by President Lyndon Johnson on April 12, 1968 just 8 days after the assassination of Martin Luther King. The legislation had been opposed by southern conservative Democrats. All real estate sales agents and brokers are licensed by their respective states, and have to demonstrate their knowledge of the Fair Housing Act as part of their certification exam. I know personally discrimination was a big problem. My father told me the real estate agents would never show houses in our area to eligible black buyers because they felt it black owners would depress housing values. Today, this would be a blatant violation of the Fair Housing Act. Owners of apartments in Houston, Texas where I lived in the early 1980’s, would routinely refuse to rent to blacks. It was sad, unethical and now illegal. Certainly, the Civil Rights bill of 1964 was a great turning point for the progressive faction of the Democratic party, and the beginning of the conservative southern states turning more to the Republican Party. Another great stalwart against equality was Congressman Howard W. Smith from Virginia, who as Committee Chairman of the House Rules Committee, did everything he could to stall of vote on the 1964 Civil Rights bill. Will HUD win their case? Facebook said they were surprised at the filing of a lawsuit. They were in the process of working to remedy the complaint. Usually, if there is a complaint, the Department works out some settlement for damages rather than have a court battle. At least that seems the way the Department handles discrimination suits against banks. The case against Facebook is a civil suit, so no one goes to jail. It is against the Facebook corporation, which includes Instagram. Similarly, Donald Trump appointed as director of CFPB, Mike Mulvaney, an agency. he detests and introduced legislation in Congress to abolish it. It is an agency aimed at protecting consumers in financial areas, such as payday loans and home loans. Mick Mulvaney effectively fired the CFPB Advisory Council, a 25 member group in June 2018. There is little doubt that one reason for the financial collapse in 2008, was consumers were way over their heads in debt, some due to predatory practices of lenders. Mulvaney’s appointment was temporary. Democrats were appalled at his replacement, Kathy Kraninger, who has nearly no experience nor experience in consumer finance and protection. She got the job based on loyalty to Mulvaney and will likely continue to continue the strategy of slowly weakening the Bureau’s activities until it makes no sense to fund it. An enormous loss for consumers. It’s called death by 1,000 cuts. We are not used to seeing robust regulation of tech companies here in this country, particularly not from HUD, which is currently run by a man who once said that the Affordable Care Act was “the worst thing that has happened in this nation since slavery.” A year ago, the New York Times found that HUD was scaling back Obama-era enforcement of fair housing laws. The Trump administration is attempting to scale back federal efforts to enforce fair housing laws, freezing enforcement actions against local governments and businesses, including Facebook, while sidelining officials who have aggressively pursued civil rights cases. The policy shift, detailed in interviews with 20 current and former Department of Housing and Urban Development officials and in internal agency emails, is meant to roll back the Obama administration’s attempts to reverse decades of racial, ethnic and income segregation in federally subsidized housing and development projects. The move coincides with the decision this month by Ben Carson, the secretary of housing and urban development, to strike the words “inclusive” and “free from discrimination” from HUD’s mission statement. Wow! I’ve included the Verge article and the New York Times. The federal government spends billions of dollars on a program to fund 12,000 communities to improve their services in education, transportation and other areas But in return, these communities had to show progress they were desegregating community services such as transportation and schools using a tool developed by HUD. It sounds like a great program. Carson eliminated this requirement and was sued. The courts upheld Carson’s decision, “Federal judge dismisses …”. He claims that he eliminated this rule, so the Department can come up with a better one. Yeah, like no funding at all. Donald Trump (President of Trump Management Co) and his father, Fred Trump (CEO) were found in violation of the Fair Housing Act in 1972 by the US Department of Justice, – Civil Rights Division. The division sent both black and white applicants to the New York apartments and found blacks or people on welfare were routinely rejected. It took time to build a case against them. They were coding application forms so they knew whether applicants were black. They told rental agents not to rent to blacks. They signed a “consent decree”with the Department of Justice to end the legal action. See Wikipedia link. The stock price of Facebook actually has increased a bit since the announced lawsuit. It is likely investors feel that Facebook has a good chance to prevail or settle the case without much financial impact. It is ironic that if the case is decided by a conservative judge, which narrowly interprets the Fair Housing Act, the whole lawsuit might be thrown out. Many other companies, such as Google will want a quick settlement. A settlement always allows both sides to claim victory. In sum, I think this lawsuit is just an election campaign ploy. Facebook has weathered some pretty enormous scandals on leaked information, and so it is tainted goods at this point. But this hardly effected investors interest in the company as it is up around 30% for the year, verses 14% for the overall market (S+P index). Ben Carson, the secretary of housing and urban development, on a housing tour last year in Columbus, Ohio. This month, he struck the words “inclusive” and “free from discrimination” from his department’s mission statement. The Verge: Why HUD’s lawsuit against Facebook came as a surprise: When did Ben Carson start to care about the Fair Housing Act? Kudos to Casey Newton, for a well researched post with relevant links. Federal aid will continue to 12,000 urban communities to improve their neighborhoods without any checks on efforts to desegregate schools, transportation and other community services. Mick Mulvaney isn’t blowing up the CFPB, It’s more like death by a thousand cuts, critics say. No clean bill of health. Not for Trump nor his campaign officials. I guess it’s best just to read AG Barr’s memo. It’s only 4 pages. Normally, I would include links, but there is just so much out there, you can take your choice. I like her, but she would really do herself and the causes she supports, to resist getting into the limelight, at least for now. What did she say that was so horrible? Her four words went viral and totally blown out of proportion. There was another comment where she seem to give support of a dual loyalty theory, that implies Jewish politicians were conflicted between what was best for America and best for Israel. She really has back tracked on her offensive comment. However, Trump is really on the war path. Again, it is not her statements per se, but the exaggerated impact which is being tossed about the social media. Social media can act as a distorted echo chamber. I worked in Kuwait, and listen to some pretty anti-Israel comments. It was, in my opinion, rooted on a biased history of how Israel was formed, and its intentions to its Arab leaders. We had some lively debates at that time. At the same time, Muslims and Jews were just fine working together. It was never personal. The US under the Trump administration will never present a practical plan to resolve the hostilities between Palestine and Israel, because it will simply agree with Israel. We have given up our role as a neutral party, and gone way too far in aligning our interests with Israel. That’s very bad for us. For Arab extremists, the anger and paranoia begins with hatred towards Israel, and then all countries associated with Israel, most obvious today is the US. As I said in the beginning, I like Representative Omar. I think she has a lot of “John Kennedy” type zeal in her and is strongly involved in the really big issues facing the world – such as hunger, environment and climate change. Getting it right on access to health care services and education for our country are critical to make this country great again (after Trump). I hope she can weather this storm. (I honestly didn’t know how popular this slang expression was, and I thought they were talking about Benjamin Netayahu. Even the best Mueller investigation trackers don’t know what happened. The Department of Justice had never officially said a final report would be issued. I had thought this would be an interim report. It would not include the ongoing investigation into the inaugural committee and irregularities in the Trump Foundation, which are being handled by the Federal Attorney Office in the Southern District of New York. I’ve thought of these investigations as independent investigations- but maybe not. A lot of money was flowing into the inauguration committee and there may still be a Russian connection. Of course, Mueller can issue an interim report with large sections redacted – not a particularly satisfying conclusion to either Republicans or Democrats. What Mueller abhors at this point is leaked information. Like a good prosecutor, he’s going after indictments then convictions. And contrary to what Trump has been saying, he’s been very successful with either guilty pleas or convictions. Mueller knows that once the Department of Justice has the report, it will be subject to a subpoena by Congress, and the House will want to question Mueller making leaks more likely. Trump’s lawyers will want to see the report without redacted sections and that’s where leaks to the media can occur. It will clue them into unresolved parts of the investigation. I am hoping the investigation is winding down as the final pieces come together. The wheels of justice grind slowly.